1.AROUND $9-12,000 ; Toyota Forerunners aplenty at $12k but they are all petrol and small inside. 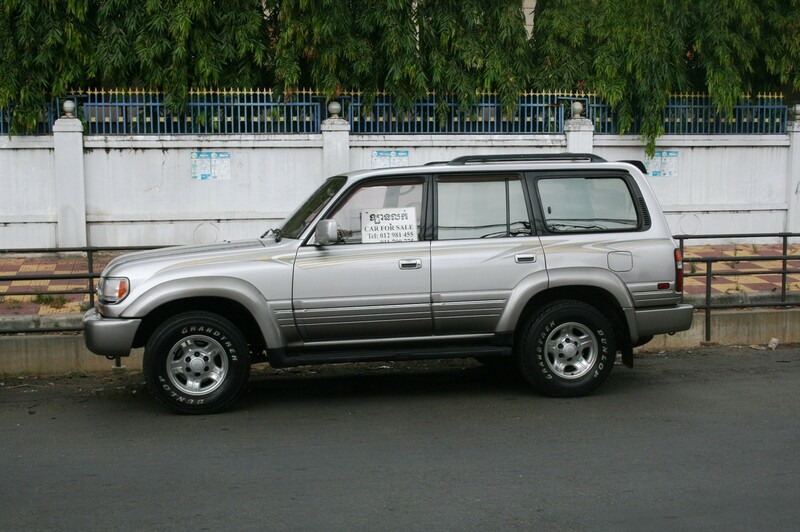 I looked at a few older V6 Pajeros and saw one nice 1998 $12K but any of them under $10k were a bit ratty and dubious . 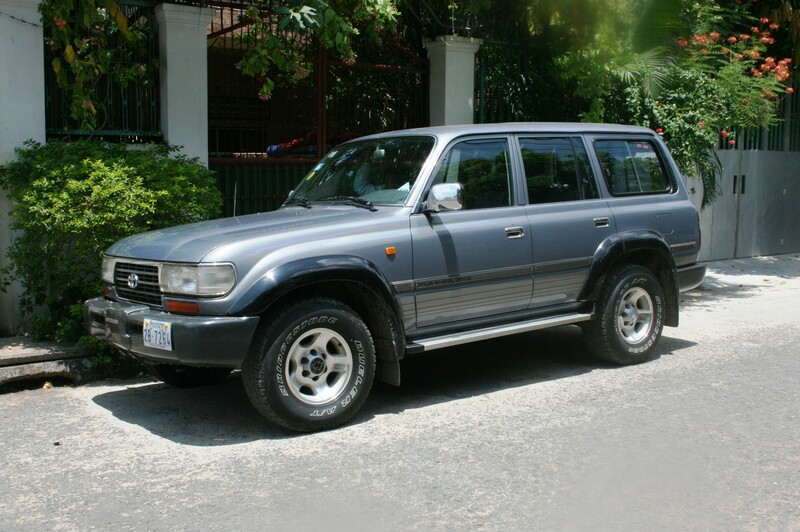 I mostly concentrated on 1996|97 LandCruiser as it’s a great car, there are heaps around so parts are easy plus a Landcruiser will always resell easily to expats here. I looked at about 8 of them in varying conditions but all had an opening price of $9000. 2. AROUND $12-15,000 ; There was hardly anything in this range. 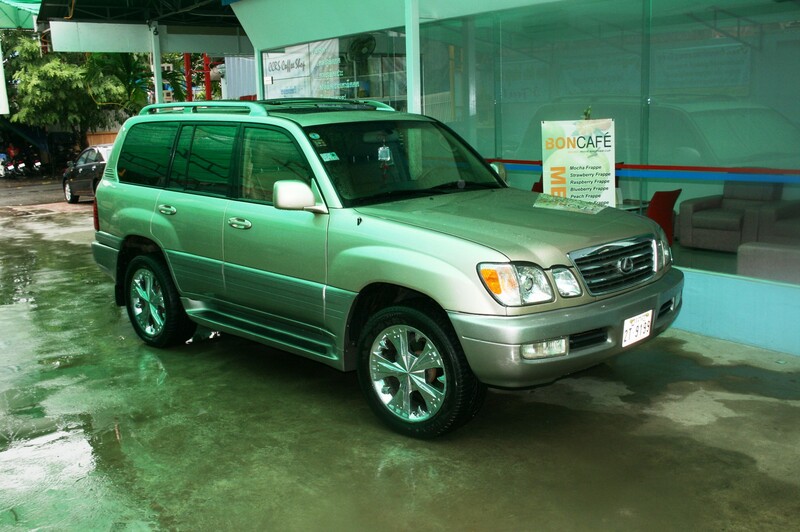 I test drove a 1998 diesel LandCruiser with 220K on the clock and they wanted $15000neg for it . It was a real nice truck but I cannot see how they price this at $15,000 when for $4000 more you are in to the LX470 with a MAJOR increase in comfort ? 1998 LX470 @ $20,000. V8 vooooooooooom ! I then purchased five carfax.com reports online and ran the VIN# of ones that presented really well . All came up clean before leaving the US with no accidents,thefts,fire,recalls etc although obviously there is no history years they have been in Cambodia . Odometers had all been wound back with most having done 120000kms++ before leaving the US despite odometers showing 65000KM currently etc .I am not so worried about kms on a Toyotas . Habeus Corpus and all that………………….